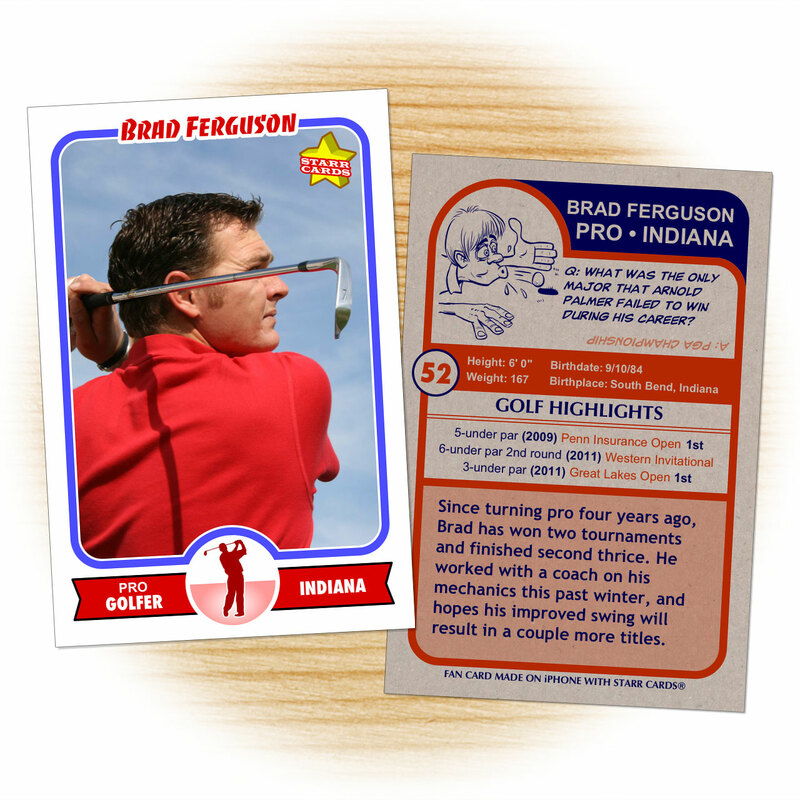 Retro 60 series is one of several premium custom golf card designs that can be unlocked within Starr Cards award-winning Golf Card Maker for the iPhone, iPad, or iPod Touch. 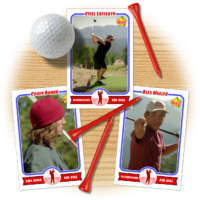 Its classic appearance is ideal for any golfer from the weekend hacker to the club pro — each and every card is sure to become a collectable keepsake. 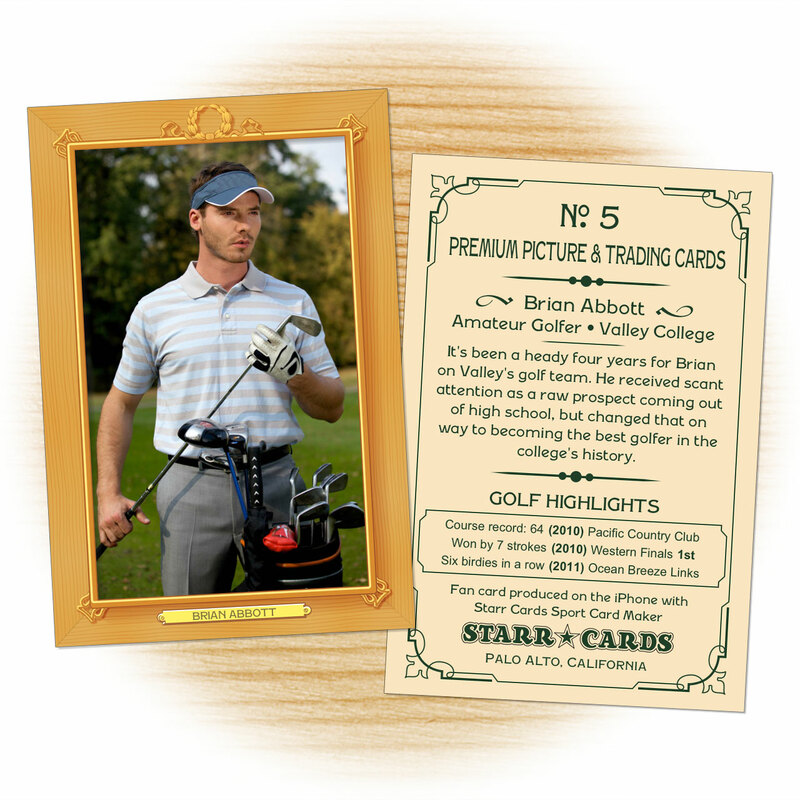 Starr Cards Retro 60 series puts you, quite literally, in the spotlight. 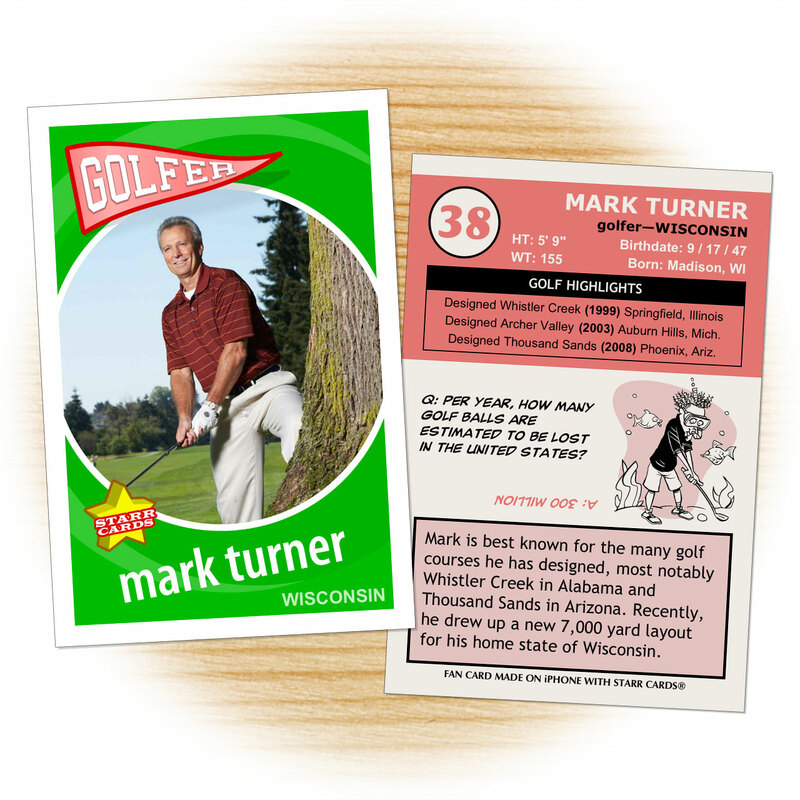 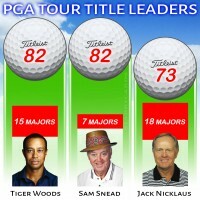 The striking circular photo frame is graced with a waving pennant and the golfer’s name appears in a large angled typeface. 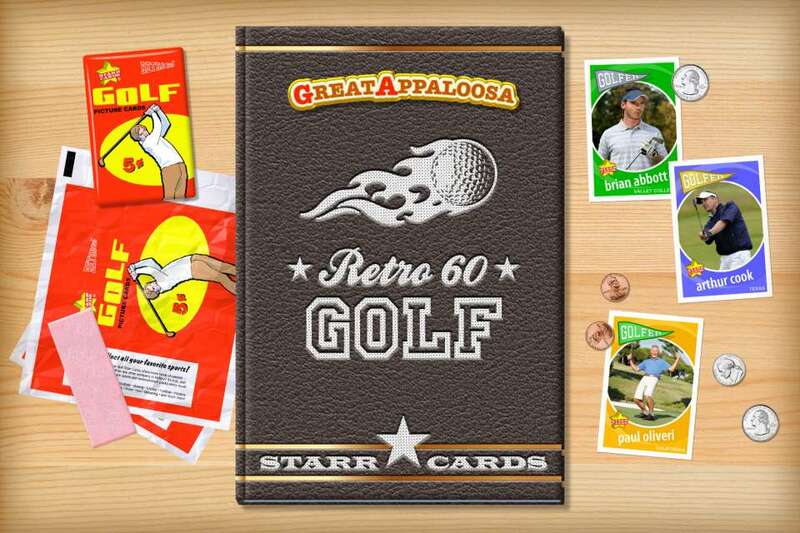 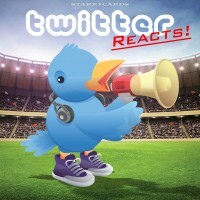 Starr Cards Retro 60 series evokes memories of a time when gas cost thirty-one cents a gallon, Psycho haunted movie goers, Chubby Checker taught teens The Twist, Khrushchev pounded his shoe in anger at the United Nations, and Arnold Palmer edged amateur Jack Nicklaus to win the U.S. Open.